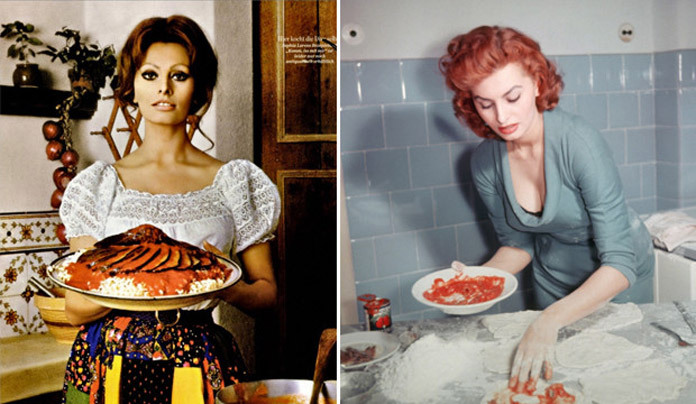 In 1971, Sophia Loren went from silver screen to kitchen counter, playing the role of a perfect Italian host to offer fans a real taste of her life… with a book that included over 200 traditional Italian recipes. 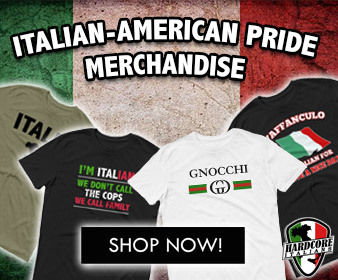 It read like a casual chat with her in the kitchen, full of love and inspiration, and the first edition sold hundreds of thousands of copies in Italy and abroad. Loren wrote the book in 1968, when she was confined to the Geneva Hotel Intercontinental due to her pregnancy. 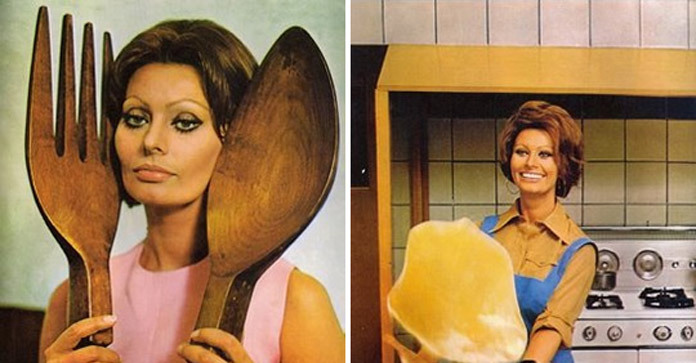 In the forward, she wrote, “I needed two things for a book like this: time and a penchant for cooking. I never had much of the first in between movies, but I always had plenty of the second. 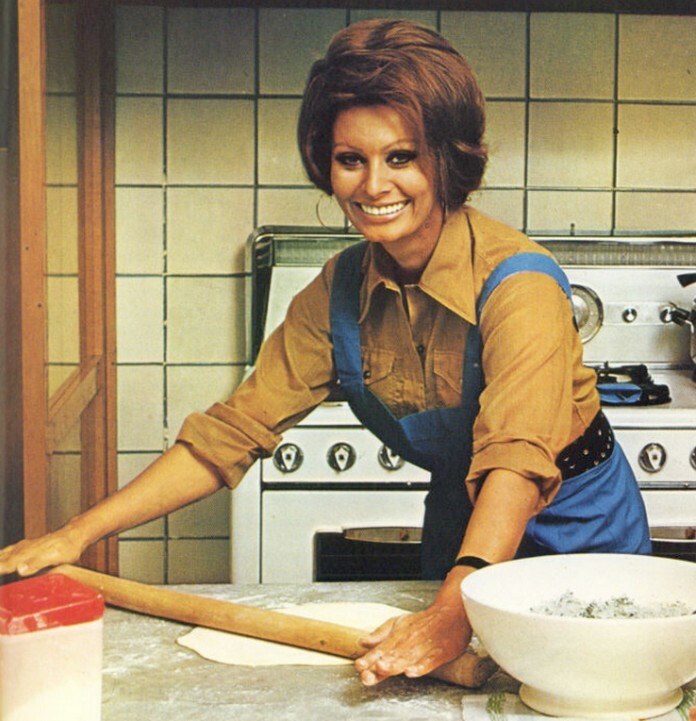 With one nuisance: having to restrain myself, or I might ruin my waist.” She went on to include recipes as well as childhood memories, stories from her travels, advice from many chefs, and a collection of personal notes that make the book a very special mix of di food, thoughts and reflections.